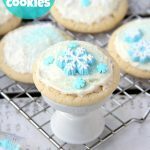 Classic Sugar Cookies – A must-have recipe for cookie lovers who don’t like to chill or roll out dough! You won’t believe how easy these are! The Christmas countdown is on! 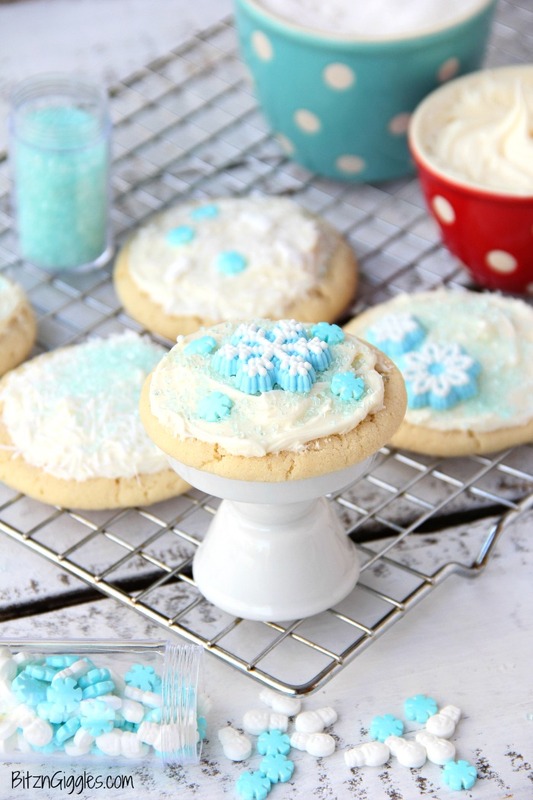 How many of you are baking Christmas cookies this week?! 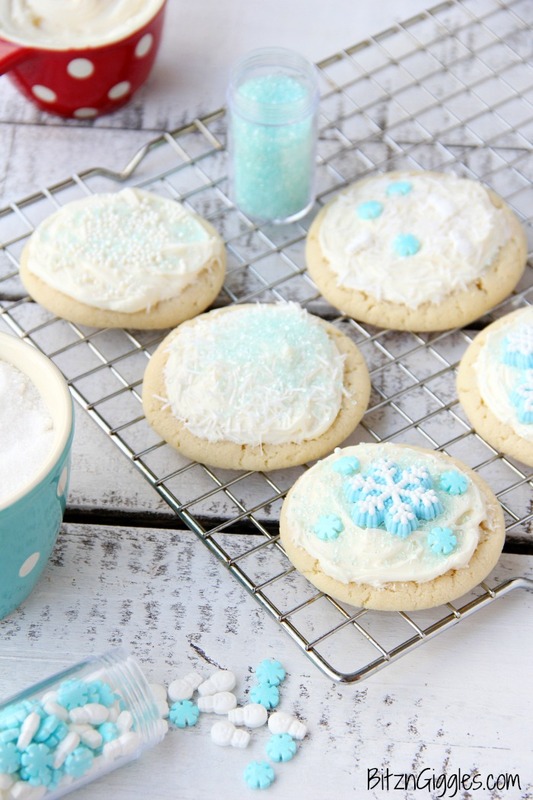 I have a few more treats on my list I’d like to make before the weekend but first things first. . .sugar cookies!! If you’re not sure you have time for cut-outs this year and really don’t want to mess with chilling and rolling cookie dough, then do I have the perfect recipe for you! 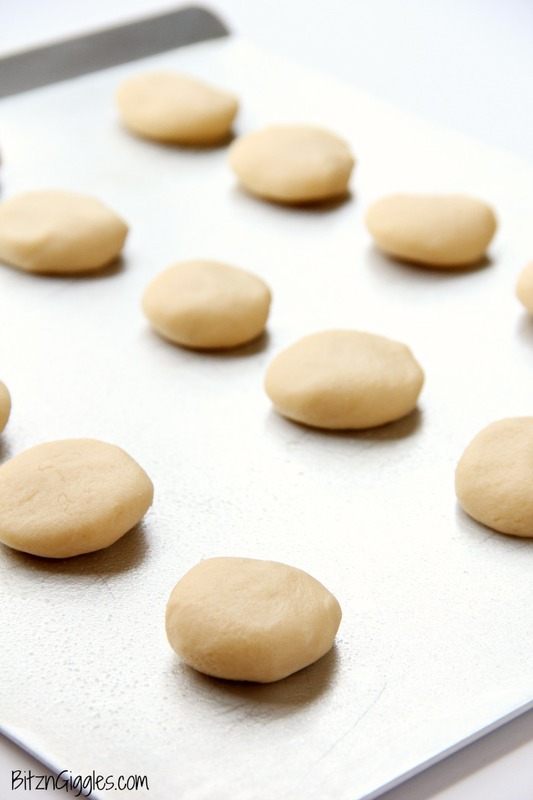 You literally roll little balls of dough in your hands, flatten them a bit and place them on the cookie sheet. Bake for 8-10 minutes and you’re done. Seriously, you’re done. Well. . .with the cookie part. Then comes the icing. But I promise you, this is just as easy – and only three ingredients! Once you have that whipped up, you just start decorating! 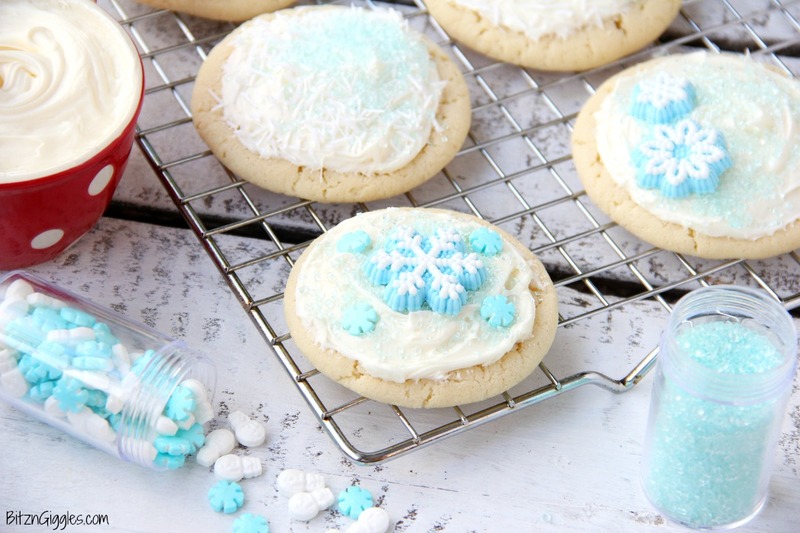 I found some really pretty snowflake icing decorations and sprinkles I couldn’t wait to decorate my cookies with. There’s just something about the color blue in the winter time. Do you agree or am I just crazy? It could be the latter. If you like crazy, you can read all about my obsession with the color blue, here. Let me know if you’re obsessed with a particular color. I want to hear about it. Really I do. It will maybe help me feel a little less crazy. 😉 I like to know I’m surrounded by crazy friends, too. We crazies really need to stick together. Now that we’re done with the crazy we’re moving on to self-control. I don’t know about you, but it’s really difficult for me to make sugar cookies without wanting to eat them WHILE I’m decorating them. It’s an incredible test of self-control. No need to get too caught up in self-control just yet. We can focus on all of that after Christmas. For now, bake, eat and be merry. 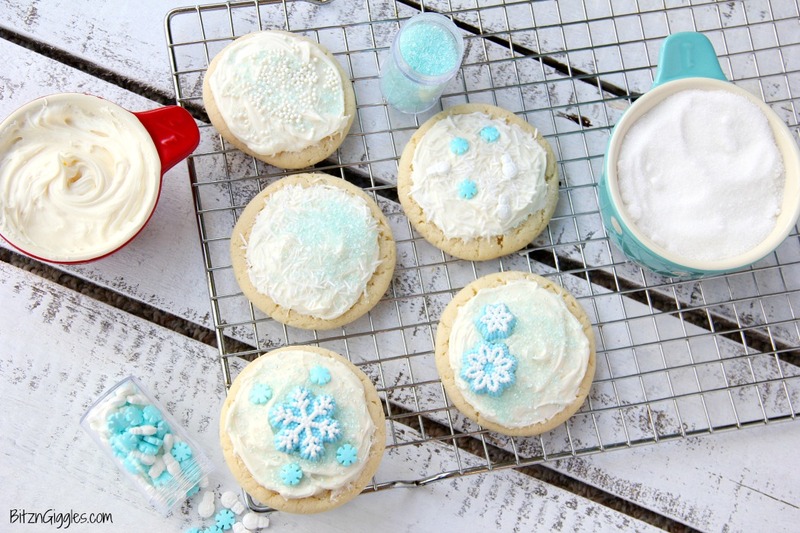 Your family and friends are going to love these sweet sugar cookies. I can’t wait for you to try them! 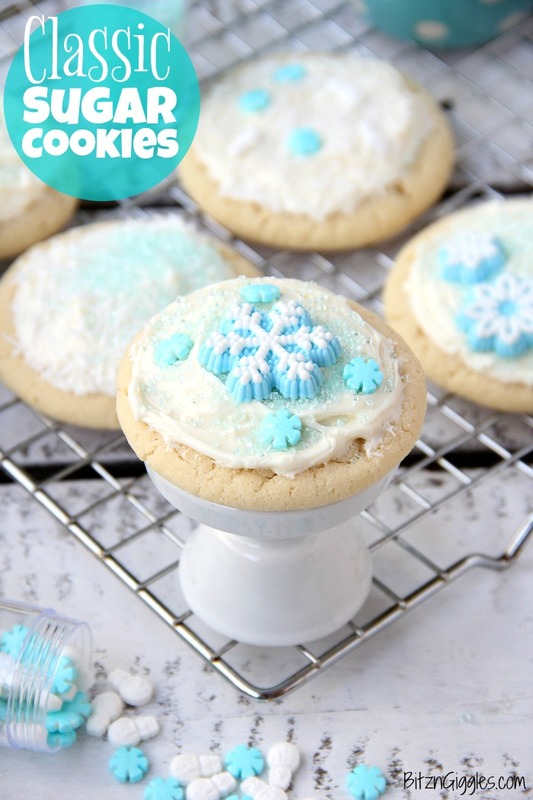 A must-have recipe for cookie lovers who don’t like to roll out dough! In a small bowl, combine flour, baking powder and baking soda. In another bowl, cream butter and sugar until smooth. Add egg and vanilla and almond extracts. Blend in the dry ingredients from the small bowl. Roll dough into balls about 1 inch in size, using the palm of your hand to flatten them slightly. If too thick, add a little more milk. If too thin, add a bit more sugar until you reach your desired consistency. Sara, this now is my go-to recipe, pinned to the refrigerator with a magnet. Thank you so much for sharing it. Today, my husband mentioned that there were only 4 cookies left. After he went downstairs, I started a fresh batch. When I told him what I was doing, he said he was going to tell me he really likes them and would go to the store if I didn’t have all the ingredients. Sometimes, I smash them with a sugar coated bottom of a juice glass. Sometimes I just bake them. I never frost them. Thank you, thank you, thank you! Sometimes I don’t frost mine either!! I’m so glad you and your husband are enjoying them!